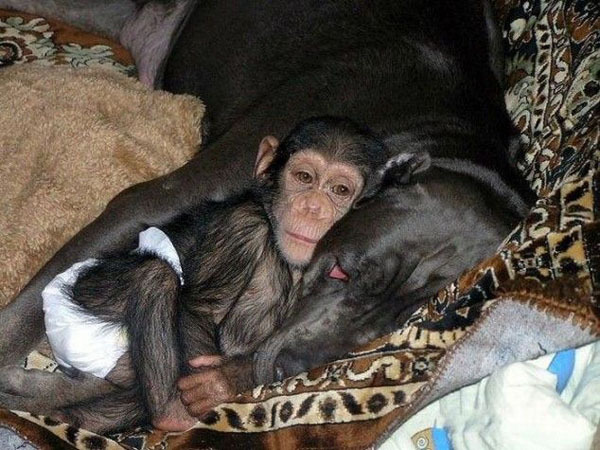 After a mother chimpanzee who lived in a zoo died, one of the zoo's employees took the baby chimp home to care for it. 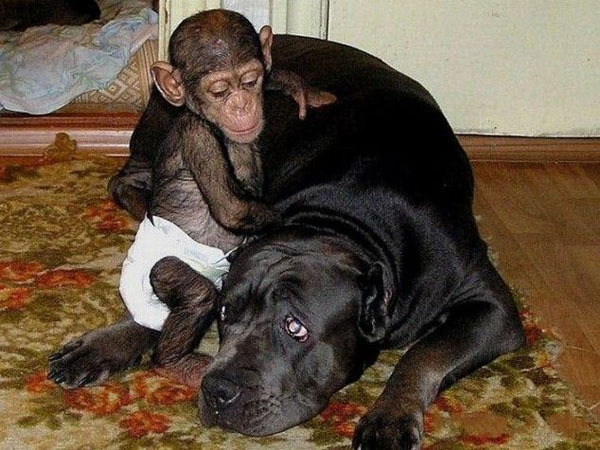 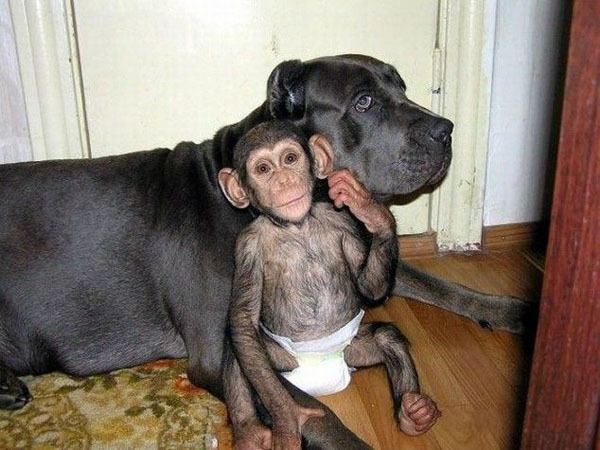 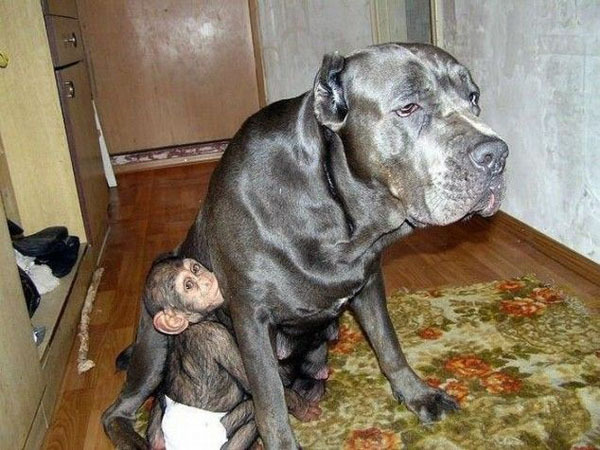 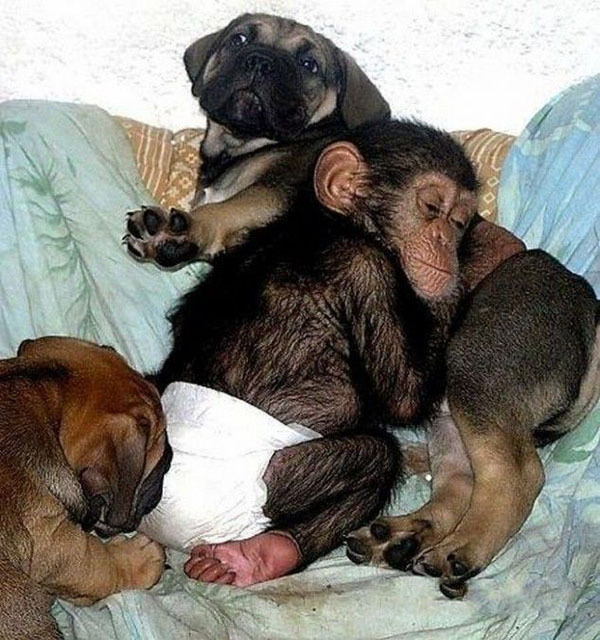 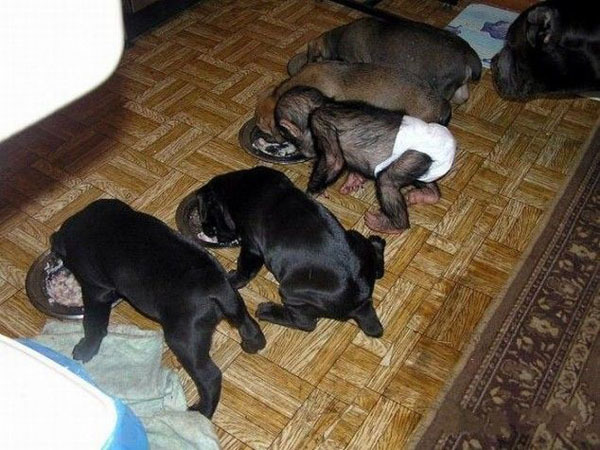 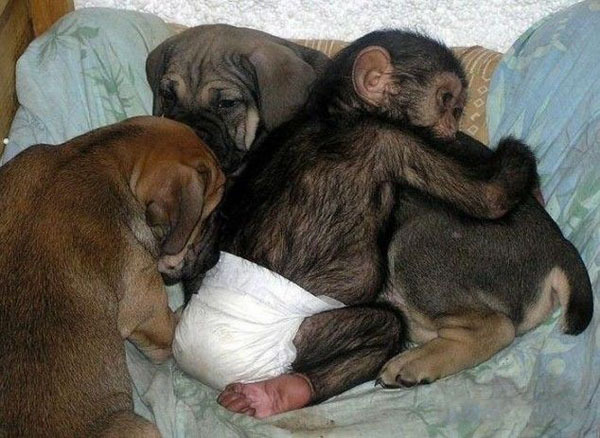 It never crossed his mind that his dog, who had recently given birth would adopt the chimp and raise it with her pups. 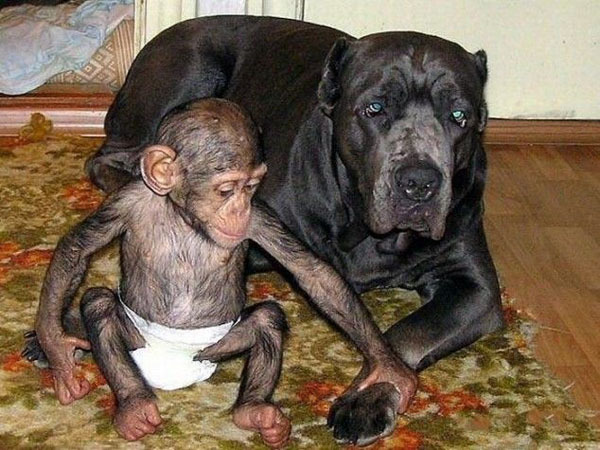 Judging by the look on her face at times, she is not quite sure why this particular offspring has hands to grab her with. 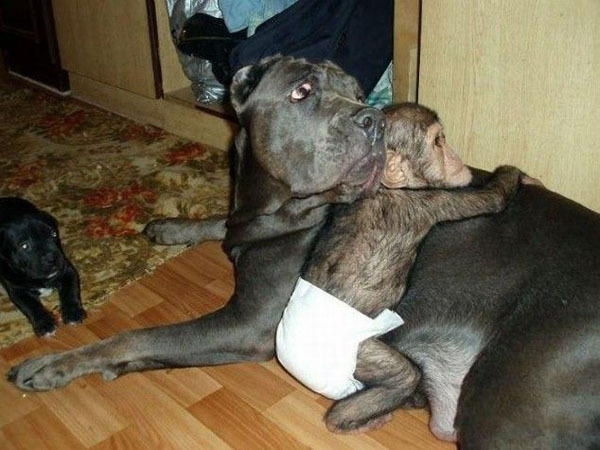 Now that portrays unconditional love!